It may seem like any typical love story [like The Choice, also by Sparks. Pardon me for not posting the review. It's due to the stress of graduating and preparation for HS. 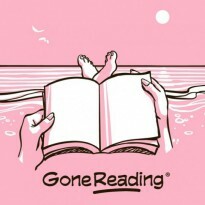 ], wherein a girl, Katie, meets, a boy, Alex...plus his kids, Josh and Kristen...fall in love. Nicholas Sparks added a tragic backstory to both protagonists, especially Katie. You will feel both the joy and the pain of their past and their desperate struggle to escape. These brought them to love and a certain flame [ha! You'll get it once you read it.] tests that love, not only to each other but also towards Josh and Kristen. 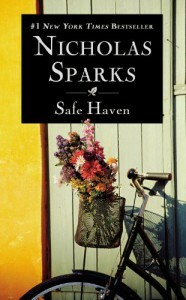 Despite all the irritation and despising, Sparks' Safe Haven leaves you with a touching, light, teary [I cried...again] feeling by the end where you'll read an finale truly unexpected. 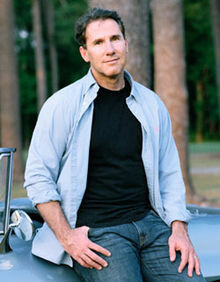 IT IS OFFICIAL: NICHOLAS SPARKS IS MY FAVORITE AUTHOR. p.s. All of you probably know that there's a movie adaptation of Safe Haven and I'm so excited to watch it [DVD? ].